Trainer Toby Edmonds will oversee some of his winter carnival hopes in trials at the Gold Coast. In-form trainer Toby Edmonds should have a clearer idea of his winter chances with smart sprinters Whypeeo and Keen Array to trial at the Gold Coast. The pair will be rivals in the sixth of 18 trials on MOnday. Stakes winner Whypeeo, who was having his second public hit-out since a Melbourne spring campaign, was far too slick for a Gold Coast trial field on March 25. Keen Array also trialled that day and finished third to Taillevent in another heat. Keen Array is a new addition to the Edmonds stable after doing his early racing for the David Hayes, Ben Hayes and Tom Dabernig team for whom he won four stakes races. His best win was in the 2017 Group Two Gilgai Stakes in which he beat Toowoomba mare Sold For Song. Edmonds has high hopes for the pair in the winter but as usual is not getting carried away. “We will see which way to go after they trial on Monday,” he said. Edmonds is also keeping a close eye on Houtzen’s progress in England where his son Trent is in charge of her preparation aimed at Royal Ascot in June. Smart three-year-old The Fire Trap will also trial at the Gold Coast. The Fire Trap, a Rosehill winner last year, is being aimed at the winter three-year-old features after an unlucky summer carnival. 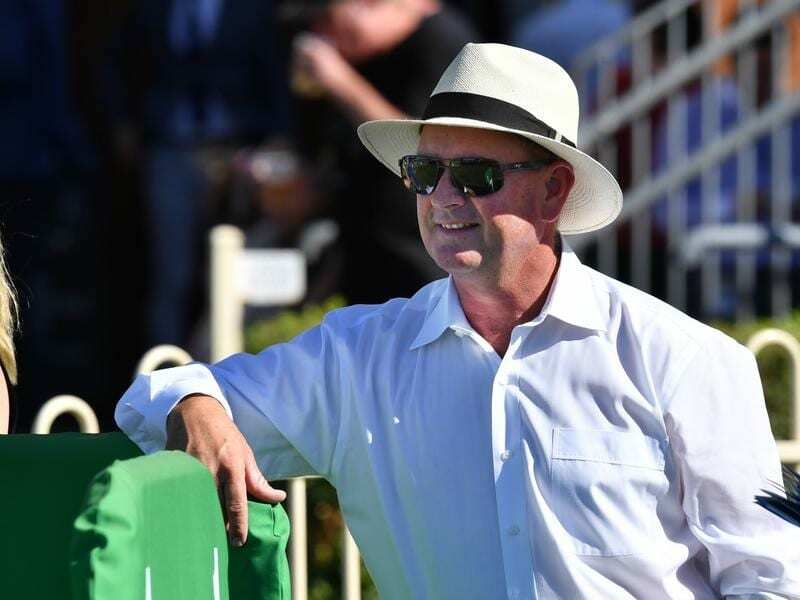 Trainer Matt Dunn believes The Fire Trap is much better than his last-start failure in the Magic Millions Guineas showed.